It is the perfect tool. Large enough to achieve firm grip. Slim enough to carry everywhere. Safe enough not to collapse into your fingers when the cutting gets tough. The Gerber Covert Folder. When my niece says, “Why do you always carry a knife”?, she forgets she’s never asked, “Why don’t you have your knife?”. As the most important invention ever developed (along with its derivatives), everyday living would be far different without the sharpened blade. Walking down your steps (the saw and lathe) to breakfast cereal (scythe) in your stone house (the chisel), a free American (the sword) may think little of the knife’s importance. Several times a day as a tradesperson I reach for my Gerber to resolve an issue. Expand my view. Nudge or persuade the reluctant in a manner my finger cannot. Whether tight quarters or dangerously jagged obstructions, the Gerber has a way of poking its business end into the issue, demanding quarter. Recalcitrant material usually gives way. Uncle! It is the perfect tool. And the perfect gift. 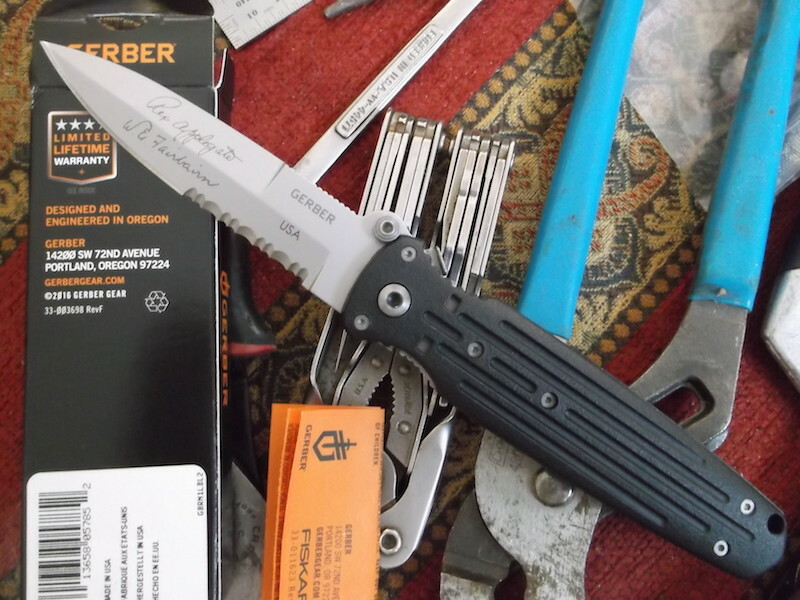 This entry was posted in Product Review and tagged gerber covert, made in usa pocket knife, perfect pocket knife.